Even if you're not yet on YouTube, users are likely still searching the site for terms related to your brand or products. And the results they're getting could be coming from your competitors and your (happy or unhappy) customers. Of course, it's impossible to control the social media narrative, but it's important to still be on YouTube telling your side of the story. BP took this to heart after the oil spill in the Gulf of Mexico. Nearly every YouTube video you watched related to the incident had a link (generally a paid ad) nearby to BP's YouTube videos, where they offered their own interpretation of events. YouTube is free, but, as with BP, many brands get great results by paying for ads. Brands have been spending more and more on video advertising every year, and it's predicted to keep rising. Google's AdWords program also applies to YouTube, and you can purchase keywords and create ad campaigns related to various topics. Just like audiences on other social media sites, such as Facebook, YouTube viewers can reveal a lot about themselves and what they need in their lives. Some brands particularly can have lot of success advertising on how-to videos that address a need their product solves. Of course, one of the reasons many brands don't use videos is because they don't feel comfortable making them. But don't be intimidated - making videos for YouTube doesn't need to be difficult. You can make a video animation, a photo slideshow or a Google Search Story for your site without any video equipment or production knowledge. And if you're a little more daring, you can try your hand at a webcam video, an interview or even a virtual tour or a how-to video. 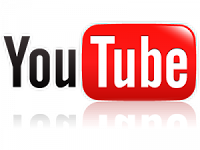 You don't even need to publish videos to have YouTube be an effective part of your social media program. The easiest way to build content for your YouTube channel is to curate others' videos. Find videos related to your brand, your issues or your audience's needs. Then put these together into playlists and publish them on your site. You can also interact with other YouTubers, leave comments, subscribe to other users and like videos. All of this activity shows up in yourYouTube feed for your subscribers to keep track of. 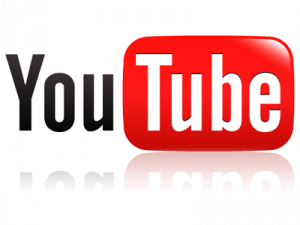 If you really want to integrate YouTube into the rest of your social media, you can link your YouTube accounts to Twitter, Facebook and other social media sites through your account page. Do this, and all of your subscribers and followers will be notified about nearly everything you do while on YouTube. I've focused mostly on using YouTube as part of your social media strategy, and that's because it has the biggest audience and the biggest effect on search engine results. But there are many other niche video sharing sites that can work well if you're targeting a particular audience. Nearly every topic - from fashion to food to cars - has sites and sub-sites devoted to passionate users who are talking about their interests and sharing info and videos. If you can find these groups and share your videos with them you can greatly expand the reach of your social media video efforts.